I know Christmas is still a little ways off, but I love cat Christmas ornaments. To give them as gifts and to have them to remember your past cats or honor the cat you have now! 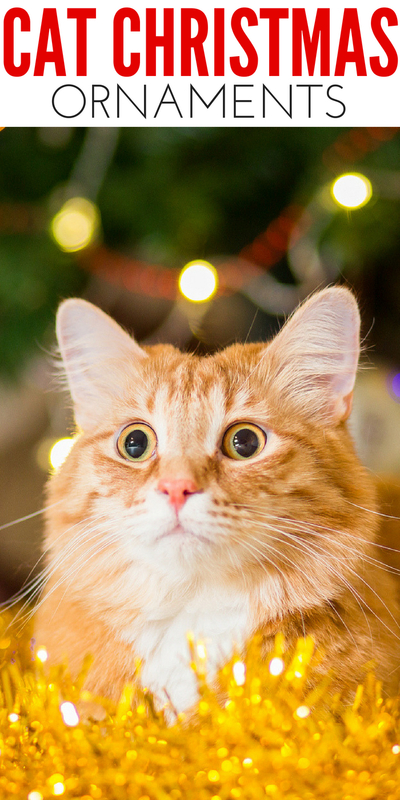 You can find some really cute cat Christmas ornaments on Amazon that are affordable and fun. If you want to give a gift or two to your cat-loving friends, let me help. I will share a great list of ornaments to consider adding to your cart and buying. 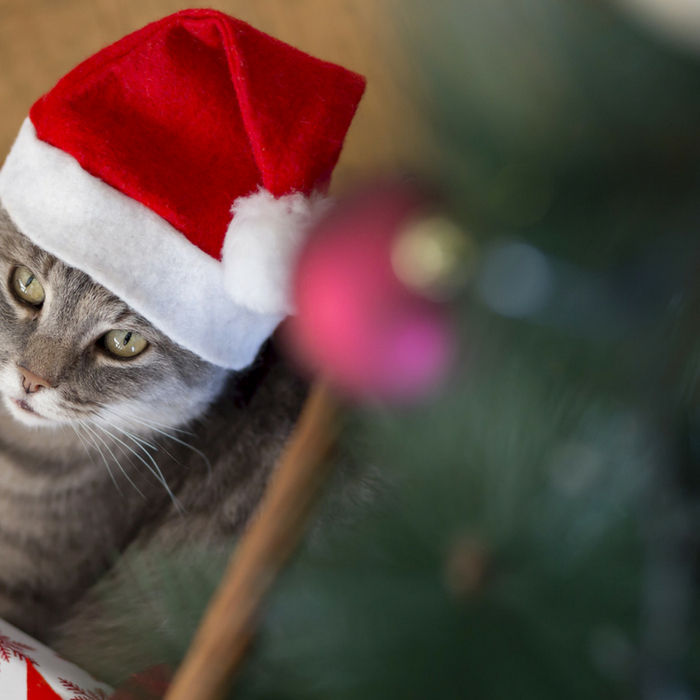 If you are giving a gift to a friend or family member consider tossing in some of your favorite cat treats, a cat sweater, or even a t-shirt or hoodie. It will be a complete gift all in one. Or if you are a fan of cooking make some homemade cat treats and place in a decorative jar. Black shorthaired tabby in a Christmas Box is a fun ornament that has a cat similar in color. An ornament can last a lifetime, and this is a treasured one to own. Black cat peeking through window blind ornament is very modern and really unique. This would like great even if you follow a colored theme for your tree. If you or someone you know lost a cat this Pet memorial ornament allows you to place a picture of your beloved pet inside, so you can cherish the memories you had. Meow picture frame is a silver classic style ornament that lets you slip in a picture of your feline! I love doing these style for growing kitties so you see the growth each year. Another great ornament is this Willow Tree ornament holding a cat. Great for those who love cats or has one that they can pair with the cat in the figurine. If you have a Maine Coone cat, here is a fun ball ornament that you can use for yourself to represent your furry feline or give. I have given these out to co-workers and friends in the past and they are really nice ornaments. This cat quote ornament is unique and different. “Time spent with a cat is never wasted.” Such a true quote that any cat owner can agree with I think! Check out this Grumpy Cat ornament! This is too funny and perfect for anyone who has a sense of humor! Love this ceramic cat ornament, it is such a simple and elegant ornament that is different from the rest. Have you been naughty or nice? This cat ornament will decide for you with the cat face silhouette showcasing naughty or nice.